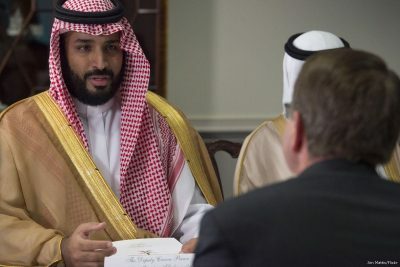 Saudi Prince Khalid Bin Farhan al-Saud, who lives in Germany, has revealed what he claims are the US conditions for helping Mohamed Bin Salman to become King of Saudi Arabia before his father’s death, thenewkhalij.org reported on Friday. Writing on Twitter, Khalid said that he had received the information from an informed source within Saudi Arabia’s ruling family. Bin Farhan said that the last condition would make the Gulf of Aqaba international waters instead of Egyptian territorial waters, which would facilitate Israeli shipping to and from the port of Eilat. It would also help Israel to carry out a project planned to operate in parallel to the Suez Canal. A retainer of around $500 million is also involved, he claimed. The prince said that this issue split the ruling family even before the death of King Abdullah Bin Abdulaziz in 2015, as a wave of royal decrees ousted several officials from within the royal family and others.